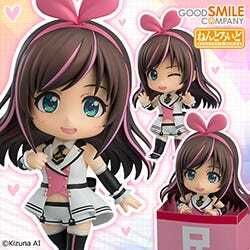 Kahotan's Blog | GOOD SMILE COMPANY Figure Reviews | The Last Blog of 2015! 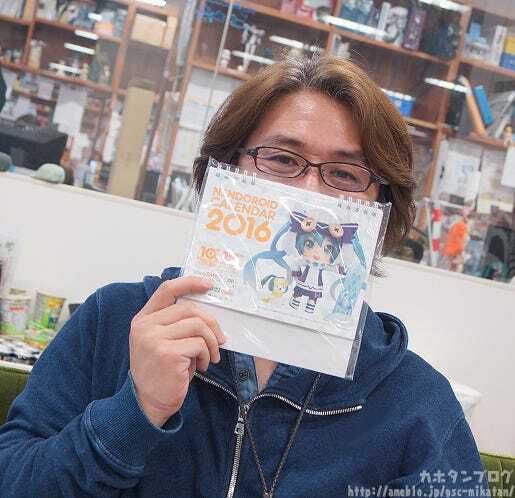 An Interview with GSC’s CEO Aki Takanori! The Last Blog of 2015! An Interview with GSC’s CEO Aki Takanori! Santa came to my house this year!! I got some rather hard to describe animal gloves that I am looking forward to using this Winter! The last blog of 2015!! As such, today is going to be a rather different blog to the usual! Today is an interview with the Good Smile Company CEO, Aki Takanori!! Kahotan: We’ve reached the climax of 2015! 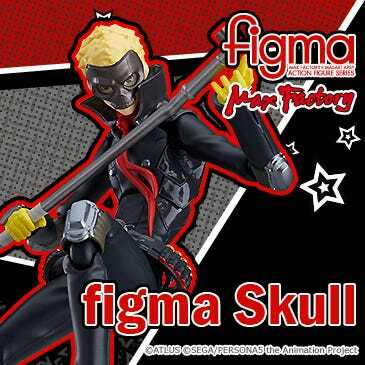 What do you think about the trends of the figure market this year? This was the year that male character figures really exploded into the market. There had long been signs that the demand for them was increasing, but this was the year that they finally took the stage and the market jumped to show that they were interested. We took a chance in creating the ORANGE ROUGE brand and it turned out to be a very positive challenge for us that allowed the two very different markets to be separated from each other, allowing for more networking and communication toward fans looking specifically for male figures. 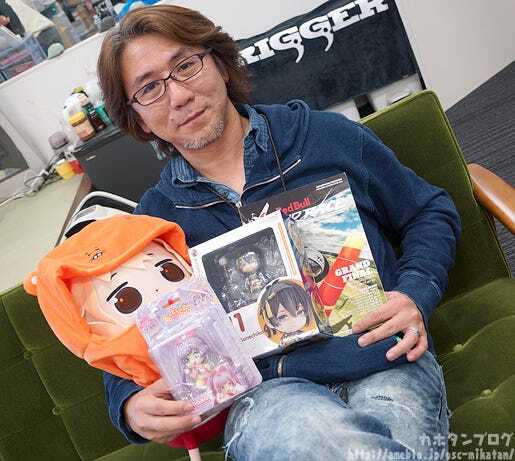 Kahotan: The ORANGE ROUGE brand was announced as a joint brand between GSC and Max Factory around the Summer Wonder Festival… but I feel like it was already moving well before that too. It’s not that we were releasing absolutely no male figures, but we needed to categorise them in a way that fans could easily separate the male character figures from others. Thus the ORANGE ROUGE brand was born, and I think it was an innovation that could determine to the way in which the figure industry is headed. Without a doubt, there were those before us that charged ahead with the popularity, but the ‘innovation’ I’m talking about isn’t just products that are aimed at the female market. I’m talking about something much deeper down – the need to explore the possibility of the figure world. 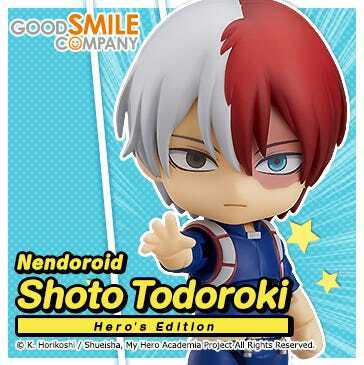 Things like experimenting to get girls more interested in the world of figures, or exploring possibilities to get figures to fans overseas more directly… all things that the industry has been trying for many years and will always be looking ahead to improve further whenever the opportunity presents itself. 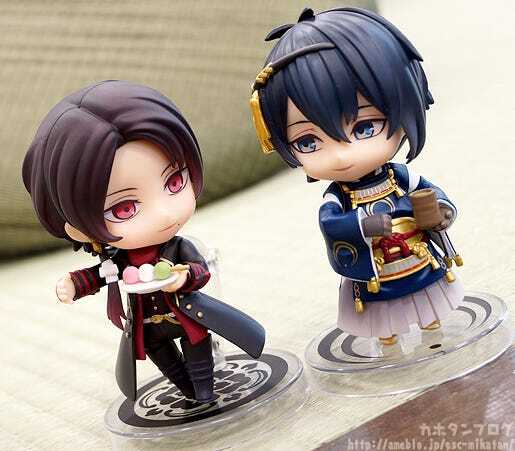 The fact that Touken Ranbu was such a huge hit has really allowed the male figure market to stand out this year, but it just one of the many things that we have tried that was fortunate to bud into something really big. 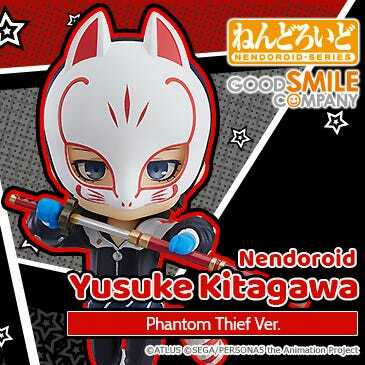 △ The first two Touken Nendoroids released as Good Smile Company – Mikazuki and Kashu! 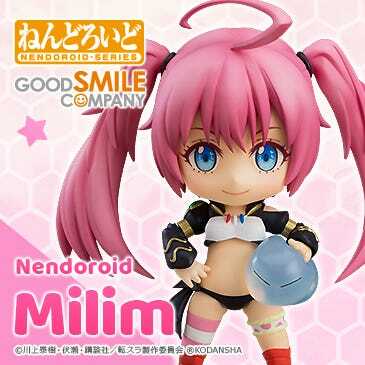 (・∀・)：I guess another example of something that GSC tried this year was the ‘Nendoroid Co-de’ series, which was aimed primarily at the younger generation of girls! Exactly. The hobby industry is typically aimed at the late teens up to adults, so working toward a completely different market gave a very fresh outlook. Whether or not the series has really taken off yet is not really something I’m too concerned about as I know that as we continue to try things can only get better. These kind of new challenges are one of the foundational principles of GSC as a company!We didn’t just want to approach the market as a ‘toy’, but something that instead kept the element of being a figure and also came with the quality that the GSC name has always been associated with. 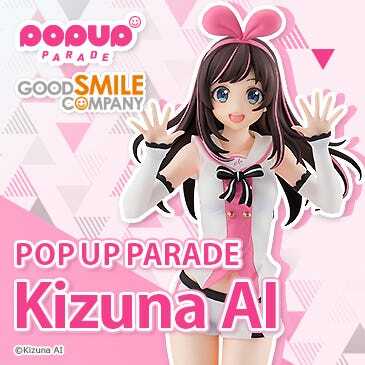 The series allowed GSC products to be lined up in a completely different section of shops which is definitely a step forward in reaching out to more people. The start of the Co-de series was aimed at the younger generation, but seeing the reaction future products in the series might be aimed at a completely different market too – once again showing the potential of innovation. 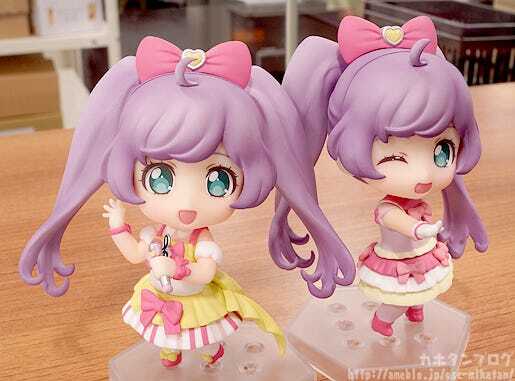 △ The two Laala figures in the Nendoroid Co-de Line-up! Kahotan: Younger children that played with the Co-de series at a young age might find themselves enjoying the next set as they grow up as well! I hope so! Having figures at a young age definitely puts you right on the path to being a collector at a later age! Kahotan: To all you youngsters enjoying the Co-de series now… we will see you all again in the future!! Kahotan: In 2015 the yen has been rather weak, but there was also quite a big increase in the market share overseas, correct? The weak yen has really hurt the figure industry (as many figures are manufactured overseas), but on the positive side it has made purchasing figures from overseas slightly less of a burden on fans. Thanks to the increase of simultaneous broadcasts online, most of the anime series that are airing in Japan can now easily be seen my fans at pretty much the same time as they air in Japan, along with that the increase of digital book readers also allows fans to easily get hold of Japanese manga series. Content from Japan is overall much easier to get hold of in the overseas market now, which is great for us as it means that they can enjoy the products we create at the same time as they are popular here in Japan.I still can’t accurately say just how much power there is in the overseas market, but we have recently been putting a lot of effort into out overseas Facebook pages, and of course Good Smile Shanghai and ULTRA TOKYO CONNECTION in America are working their hardest directly in the overseas markets. The current economic situation makes it quite a tough prospect to be profitable, but even in times like this GSC and related companies are determined to continue trying new things. We’ve put a lot of things in place this year, and it will be interesting to see how they work out in the years to come. Kahotan: Speaking of new things that we tried this year, we can’t forget about the Red Bull Air Race! That’s right! I still am not entirely certain how we managed to get quite so involved in that! Even so, it was without a doubt a great experience. Setting everything up for a big event and then seeing people share the experience on Twitter and other platforms… that kind of experience makes one want to go to the event again, or even go with other friends that saw the experience online and thought it looked like fun. To be involved in an event that had such a strong impression behind it was an amazing opportunity. If these events that allow us to see these reactions and responses didn’t exist I think I would be a lot more uneasy about things! 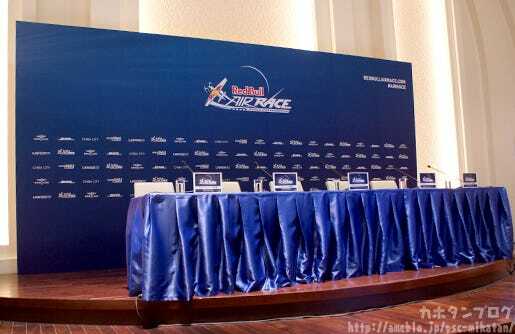 △ The Red Bull Air Race news conference last year. Kahotan: I know what you mean! When going to WonFes and seeing all those fans that come just for their love of figures… it really inspires me! Events are increasing in both number and size all the time, so I think this is something the whole industry is feeling at the moment. To think we would be invited to help run one of the largest sports events in the world was both an honor, and also allowed us to add a bit of GSC flavor to the event that made it all the more special. That said, I don’t think it’s enough just yet. We’re going to make it an even better event next year, you can bet on that!I really don’t know if working on the Air Race will have any effect on the number of GSC fans, but if we can stand at an event where people are enjoying themselves thanks to the work we have done, then I hope we can use that enjoyment for new products and services that fans will enjoy just as much. I am really grateful that we had the opportunity to challenge something of that scale. 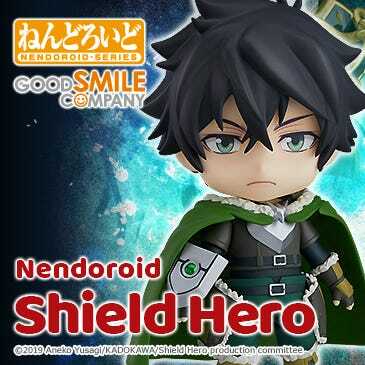 Kahotan: Next year is the 15th anniversary of Good Smile Company as well as the 10th anniversary of the Nendoroid series! 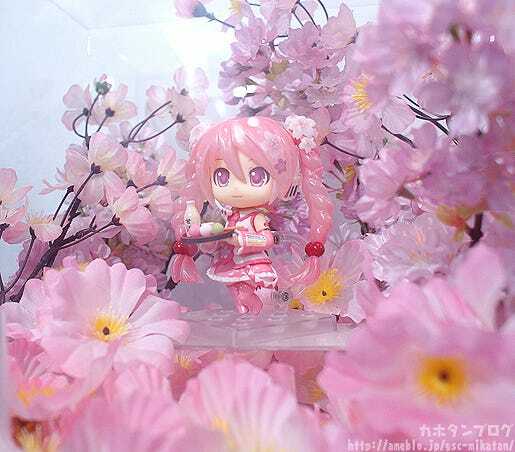 We have already announced the Nendoroid 10th Anniversary Live and Nendoroid Photo contest to celebrate! As I’ve constantly been saying, GSC is constantly challenging… trying new things. It’s like there are a whole bunch of doors that lead to different rooms and we’re constantly knocking on the doors wondering what is inside. There are a lot of doors that just refuse to open, but there are also a lot of doors that will open up just with a turn of the doorknob. Sometimes the door leads to somewhere really spacious where it is really difficult to figure out where to go afterwards, while other times it leads to a tiny room where you can hardly manage to move around. While we will never stop trying to open these doors, what we need to do is take responsibility for both the doors we opened and those that opened up for us.On the other hand, we have a series that has been nurtured all the way to 600 products that is loved by many all over the world. We need to cover both of these sides – we need to open the new doors while also protecting the brands that we have nurtured up until now as much as possible. Kahotan: There are always lots of things to consider on both fronts! Things to protect, and things to invest in… there are so many different things to consider with both – consideration that ultimately leads to more change. 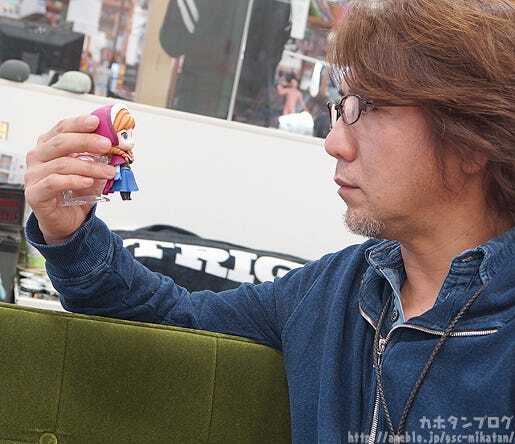 2016 will be a year to reevaluate the meaning and significance of many things, as well as focus our communication with customers, carefully taking in how we are being seen by the fans.Through the GSC 15th anniversary and 10th Nendoroid anniversary I’m sure we will connect with many more people, which will only make us want to more people to have fun! Surprise more people with new projects! Which will go on and on always leading to more and more interesting things. Always remember that what we do is all based around our fans reactions – that is the the most important thing to our energy as a company! We’ll do everything we can to bring you something amazing that you can’t even begin to imagine next year! …and we end with a rather playful photo! 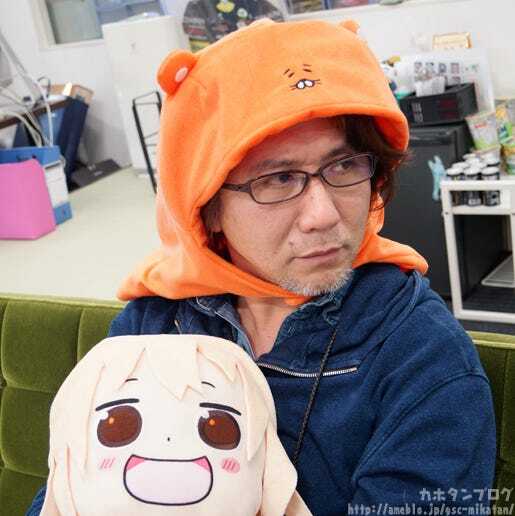 The GSC offices are already bustling with activity toward next years WonFes and all sorts of other projects!! I’ll also be giving a quick look at the current status of the Lucky Factory in Tottori sometime next year!! I’ll do my best to make this blog as fun as possible in 2016! See you all again in 2016!! 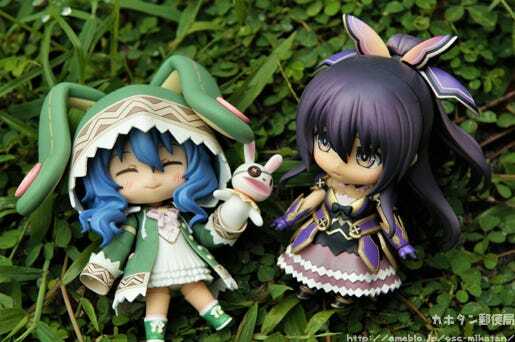 Yoshino: It sure feels great outdoors, doesn’t it? Tohka: Yes, but… is it OK to leave Shidou out of this?